A big batty welcome to our newest volunteer Helen!! ….. was inspired to get involved with bats through a biology club bat talk when studying for her BSc in zoology at the University of Wales, Aberystwyth. As a result she chose to study the winter activity of the cape serotine bat in South Africa as her dissertation for her MSc in Wildlife Biology and Conservation from Napier University, Edinburgh. Helen then joined the Bat Conservation Trust and spent over 13 years with the trust in various roles including managing the training department, as Bechstein's bat project officer and woodland officer. Helen currently works for the Botanic Gardens Conservation International where she specialises in education and training projects but she is always keen to bring bats in wherever possible. In her spare time Helen is a licensed bat worker and a committee member of Essex bat group and an active member of London bat group. ...was born in Zambia and grew up in Zambia and South Africa and has lived in the UK for a number of years - studying (BSc in zoology at the University of Bristol) and completed her PhD titled: 'Assessing the distribution of bats in southern Africa to highlight conservation priorities' at the University of Stirling (Scotland) supervised by Dr Kirsty Park and Professor Gareth Jones at the University of Bristol (UK), with fantastic in-country support and southern African (and Portuguese) collaborators. Her fieldwork has taken her to remote and beautiful areas of South Africa, Namibia and Botswana. She currently lives in Malawi and she hopes to make a lasting impact on bat conservation in southern Africa, which was the main driver for founding Bats without Borders. 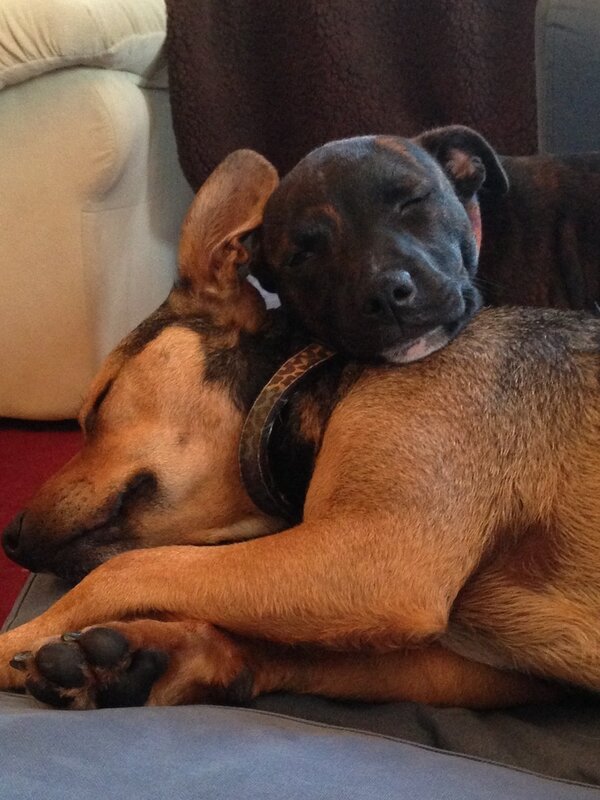 I am a relatively new vegan, dog mad, huge Fairtrade fan and love watching rugby! Going for walks with my very mischievous dogs Blaise and Soma, finding new beautiful places to visit and spending time with family and friends! Meet Soma (on top) and Blaise! From a young age my Dad instilled a love of nature in my brother and I - most of our family holidays were spent spotting wildlife in various national parks. Roll on years later...while at the ﻿University ﻿of Bristol doing my zoology degree I went on a 'bats, bugs and biodiversity' field trip with Professor Gareth Jones. Waiting to experience my first emergence watch, all the students lay down with our bat detectors at the ready - suddenly a stream of greater horseshoe bats flew over us on their way out to forage - from that moment I was hooked! ….. graduated from Edinburgh University with a BSc Hons in Conservation and Ecological Management in 2010. She is a highly motivated and hardworking mammal and botanical ecologist with experience of working across public, private and charity sectors. She has a passion for mammals, particularly bats (she is a licensed bat worker) and is being drawn further into the fascinating world of plants. In 2008 she ﻿led ﻿a student research expedition to Nepal where the team of Scottish and Nepalese students worked with local communities and rangers in Langtang National Park to form solutions to issues regarding human-wildlife conflict. Elaine takes a holistic approach to conservation matters, is dedicated to finding solutions to conservation issues and has a particular passion for helping people from all backgrounds to fall in love with wildlife and the environment. She is a volunteer fundraiser for Bats without Borders helping to coordinate fundraising activities and to promote its work. ….. has been interested in animals, nature and conservation for as long as she can remember. After a Zoology BSc at the University of Liverpool, and a PhD in bird vision and behaviour at Cardiff University, she set up a not-for-profit company called Eco-explore, providing statistics courses and conservation engagement opportunities. Alex has previously worked at the RSPB as a fundraising officer raising money for conservation and education work through grants, trust and corporate funding streams. Alex is now an ecologist for Wildwood Ecology and is an occasional guest lecturer for University of South Wales. In her spare time, she is a bat carer, chair of Cardiff Bat Group, active member of several other local bat groups and is a conservation worker and beekeeper for Rudry Common Trust. ..... has a passion for wildlife and conservation and is currently studying for a PhD on Bats in Agricultural Landscapes in her home country of Zambia with the University of Stirling working under Professor Kirsty Park and Dr Elisa Fuentes-Montemayor. As well as a fundraising volunteer with Bats without Borders, Helen is involved with bat work on the ground in Zambia on outreach, capacity building and collaborative research. In her spare time she enjoys crafts and makes the funky felt 'lavender bats' we have in our online shop to raise funds for the work we do! ﻿...has had a lifelong passion for wildlife, art, and conservation from a very young age. 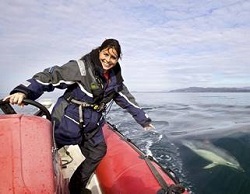 After graduating with a BSC (Hons) in Zoo Biology in 2011, she became a wildlife tour guide on the western coast of Scotland. She now currently works for 'Go To St Kilda' which takes guests from the Isle of Skye to the remote island of St Kilda, the UK and Europe's largest seabird colony and dual World Heritage Site. Nicola gets a real kick out of showing her guests the beauty of the natural world, and trying to instil how important conservation is in maintaining our natural world. Currently she is working on an education project for Bats without Borders by illustrating some of our iconic bats. Her inspiration comes from her own passion for wildlife and she hopes to get the next generation of wildlife lovers interested with her drawings! ...has recently completed her PhD at the University of Stirling investigating the impact of small wind turbines on bats in the UK. Some of Cerian’s first memories of bats are of watching the impressively large and really rather beautiful fruit bats flying around the village in Sulawesi, Indonesia where she was volunteering many years ago. It was here also that Cerian saw her first bat in the hand leading to a long-term fascination and desire to learn more about them. Cerian has a strong interest in conservation education. She has worked in zoo education giving talks to visitors and leading tours and workshops for groups of all ages, trying to inspire visitors to get involved in conservation and will be using skills learnt doing this to help create education materials for ﻿Bats ﻿without Borders as part of our education team. … is from the UK but has been living in France for over 16 years, where she completed her BSc in biology and her MSc in wildlife management. Her passion for bats started at university, where she carried out two projects in France, including a study on Geoffrey’s bats using radiotracking for her master’s thesis. Since then she has worked in Malawi as a research assistant with African Bat Conservation, teaching volunteers to catch bats and overseeing several research projects. After a brief detour into the world of sloths in Costa Rica (having a soft spot for arborial mammals too), Kate knew she couldn’t stay away from bats for long, and spent a summer catching bats in Dominica with Operation Wallacea. She is very excited to add her experience to the Bats without Borders team! … has been fascinated with bats from an early age, often watching the pipistrelles that roosted in her grandparents loft emerge on summer evenings. Becky graduated from Anglia Ruskin with a Bsc Hons in Zoology in 2013, during her studies at university this fascination became a passion as she learnt how truly remarkable and evolutionary unique these mammals are. She loves to share this knowledge and enthusiasm to help promote a more positive image of bats. Since graduating she has become a volunteer in the South Lancashire Bat Group and loved every minute as well as trying her hand at consultancy. 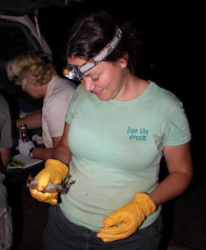 Becky is now considering a PhD in bat-related research and is thrilled to volunteer with Bats without Borders! .... is originally from the UK but has worked in Malawi researching the bats of Lilongwe city. She has extensive trapping and surveying experience in Africa, New Zealand and the UK. She has a masters in Ecology and Environmental Management from York University and a bachelors from Durham University. Kathy has a particular interest in the impact of wind turbines on bat populations, a subject which she studied for her masters thesis, developing a methodology for estimating annual fatality of bats at wind energy sites. Kathy has a particular passion for the bats of Africa due to their incredible diversity and is a very welcomed addition to the Bats without Borders research team. ….. has a Bachelor of Environmental Management from Massey University, New Zealand and is currently studying towards a Masters in International Nature Conservation (MINC) at Lincoln University, New Zealand. As part of the MINC programme Isobel has been lucky enough to spend a semester studying in Germany at the University of Göttingen and is currently completing a three month internship at the University of Stirling in Scotland. Isobel first developed a passion for New Zealand bats during an ecology class at Lincoln University and has decided to make them the subject of her master’s thesis. Interning at the University of Stirling has enabled Isobel to learn more about UK bats and if that was not enough she was excited to get involved with Bats without Borders and learn more about bats in southern Africa and has joined the team updating our species pages online. ... has joined the list of super heroes protecting the Chiropteran sky puppies. He has described his new Research Assistant role as an exciting scientific journey learning, collecting skills and knowledge (superpowers) to effectively protect and conserve amazing little fruit and insect lovers, well some bats in Latin America like to get a little bloody and some Asian fruit puppies aren't really little. Sande works at Livingstone Museum, in a collaborative project with Bats without Borders, University of Stirling, University of Porto's CIBIO-INBIO and the Harrison Institute. He recently travelled to Portugal for training in molecular methods and Geographical Information Systems (GIS) and in Zambia had the opportunity to learn from Dr Paul Bates of the Harrison institute on the taxonomy and identification of bats and during that training also received field techniques skills in bat capture and call recording. Sande said he was delighted to work with "the amazing team (Ms Clare Mateke, Dr Rachael Cooper-Bohannon, Dr Hugo Rebeló, Dr Raquel Godinho and Dr Paul Bates) is like the "Dc and Marvel” of super heroes protecting and conserving the Chiropteran sky puppies and he is excited to see how his role as the "Batman" contributes to this quest." … is currently studying towards a BSc in Psychology and Biology at the University of Stirling and also works as an illustrator. She hopes to work in conservation after her degree is completed. She has recently been a research assistant with Operation Wallacea in Romania and also volunteers with animals when she can. As an illustrator she has worked with children's books and scientific illustration, most recently working for the Wildcat Action Trust. Jen's volunteering work with Bats without Borders involves illustrating each of the diverse bats found in southern Africa to improve our species information pages. ….. completed her BSc at the Copperbelt University in Zambia and then started working for Livingstone Museum as a Research Assistant as part of the bat data mobilisation project, which is in partnership with Bats without Borders. Debbie's is passion about molecular (lab) work and how this contributes to our greater understanding of biodiversity, ecology and conservation issues. Thanks to Bats without Borders' key collaborators, she was delighted to travel to Portugal to received training at University of Porto's CIBIO-InBIO in molecular methods and geographic information system (GIS). Debbie said: "this rare opportunity has enhanced my passion for DNA studies and using GIS in mapping which is greatly used in bat conservation. I was also privileged to receive training from the taxonomy Guru Dr Paul Bates. My utmost gratitude goes to my mentors Dr Paul Bates, Dr Rachael Cooper-Bohannon, Dr Hugo Rubelo and Ms Clare Mateke, indeed together we shall reach greater heights and I pledge my allegiance in BAT CONSERVATION." …loves all things related to small mammals (bats and microtines in particular – but don’t make him pick favourites). 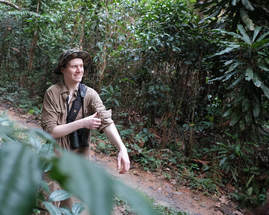 He has an MSc in Environmental Management (Conservation) from the University of Stirling, where he completed a dissertation on bats activity in relation to hedge length in known foraging sites. For Bats without Borders he is currently reviewing the current literature assessing threats to bats in southern Africa. ... is currently doing a work experience placement with Bats without Borders helping to develop their Marketing and Communications and arrange some fundraising activities. Lauren is a 2nd year student at the University of Stirling studying marketing and law and hoping to use the skills she has already developed to help raise awareness of Bats without Borders. 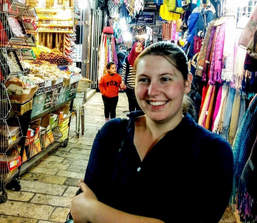 Lauren loves travelling to new places and seeing new cultures. She is going to Fiji for a month in July to volunteer, the project is varies from helping locals get access to clean water, teaching the children English and overall trying to give them a better quality life. Lauren is also really excited about taking part in a turtle conservation programme! ...…is part of our engagement team, managing our message and helping us communicate our ambitions. She has a BA(Hons) in Drama and Performance from Queen Margaret’s University, and her love of nature has brought her art to us. With a background ranging from design and lighting, to coordinating renowned productions, Rhian knows the importance of communicating the right message to the right crowd. “Batty” about travel and with big plans for the future, she hopes to connect Bats without Borders with the online world. … is currently an undergraduate student in Brazil, studying Ecology. Isadora volunteering with us when she was studying abroad at the University of Stirling. She has a broad interest in mammals, their behaviour and communication. Being able to use science towards conservation is a childhood dream coming true, and extremely rewarding and exciting to her. Back in Brazil she works and has been specialising in different methods that can be used to study the communication systems of many animals, especially marine mammals. With skills and love for the nature and animals, Isadora is helping Bat without Borders with the description of bat species found in southern Africa. ...is currently an undergraduate honours student at Stirling University, studying Conservation Biology and Management. Helen has always had a passion for wildlife since her childhood and used to watch bats fly over her garden on summer evenings - ever since she has aspired to work in conversation, hopefully with bats! In her spare time, she enjoy baking and has been taking Japanese night classes at Edinburgh University for about 3 years. Helen is developing some exciting education resources for public engagement and has joined our Education and public engagement team! … is an undergraduate studying Zoology at the University of Aberdeen with a fascination in bat ecology and a broad interest in conservation genetics, evolutionary genomics and wildlife rehabilitation.​ Milly developed an appreciation for nature from a young age, an appreciation that was encouraged by her parents and has constantly grown. After getting a taste of wildlife rehabilitation in Canada it opened her eyes to the importance of public engagement to the conservation of non-charismatic species. Milly's interest in bats was born on a university field course when using bat detectors 3 years ago and it has since grown to an interest in bat evolution and conservation. Although Milly has joined the newly formed Bats without Borders Communications Team she is also volunteering with the Fundraising Team too. ….. is currently studying towards her BSc in Conservation Biology and Management (hons) degree at the University of Stirling. Maxine’s passion for African wildlife and culture stemmed at a young age when watching TV series Wild At Heart with her grandparents. This has ultimately drawn her to her studies and goal of contributing to wildlife conservation in Africa, starting with Bats without Borders! With a strong interest in conservation advocacy, Maxine is will be spending her placement researching relevant environmental legislation and policy, that may contribute to our teams’ aim of protecting bats in southern Africa. ... was studying zoology at Glasgow University when her interest in bats blossomed. During this time she carried out mist-netting for bats in Bolivia on a 3 month expedition to the Bolivian amazon rainforest. She now can’t get enough of bats. She is an active member of her local bat groups in Scotland and can often be spotted out with her bat detector or crawling around a mine in the search for bats. Not only is she interested in the research side of things, but she has been involved in various environmental education projects in both the UK and abroad; working with school children in Kenya whilst carrying out her MSc in Primate Conservation and with communities in Glasgow. She is currently working with the Scottish Wildlife Trust on an 18 month placement; being trained in a various survey methods and through this she has assisted with radio-tracking Leisler’s bats for The Scottish Leisler’s Project. Helen is passionate about conservation and is currently helping with the education material for ﻿Bats ﻿without Borders website, but is also eager help out in the field and use her skills to help out the project. …is a botanist by training but has long had an interest in bats and their importance for functioning ecosystems. He participated in mist-netting for bats in the northern highlands of Nicaragua back in 2006 and has been looking for ways to get involved with studying bats ever since. Badger is a tree-climber and is very interested in tree-roosting bats. His skills as a taxonomist gained at the Royal Botanic Garden in Ed﻿i﻿nb﻿u﻿rgh are being put to the test as he attempts to build a field key to the bats of Southern Africa for Bats Without Borders, to enable researchers in the field to quickly and confidently identify bats they have caught in a mist-net. 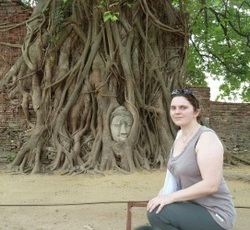 … completed her MSc in Ecological applications at Imperial College London in 2011. Since then she has gained considerable experience in bat ecology and mitigation in conservation through working on the bats and churches project at the University of Bristol. Recently she travelled to Wyoming to refine her radio-tracking skills, surveying Greater Sage Grouse in the Bighorn Mountains. Her interest in bats all began when she handled a vampire bat whilst mist netting in the Honduran jungle, one summer break from University. This fuelled her inquisitive nature to explore the world of bats. Emma has an enthusiasm and interest in bat ecology and conservation. Working on the communications team she aims to get the Bats without Borders news out to the people. ..... has always had a fascination with wildlife, but her dedication and passion for conservation was developed when she volunteered in Africa prior to studying zoology at the University of Leeds. Her love and fascination for bats was developed during Professor Altringham’s university module, her dissertation fieldwork on Daubenton’s bat and volunteering with a PhD student studying bats. On graduating she fell in to the world of ecological consultancy and has spent the last 7 years further specialising in bat ecology. To ensure she kept her hand in with research and fieldwork (including mist netting) she volunteered with a PhD student in Tamil Nadu India, during 2012. Sarah is excited to be volunteering with Bats without Borders’ in the Fundraising team and helping promote the charity and attempt to raise funds for future projects.